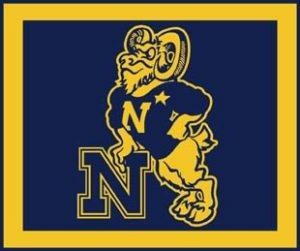 These bylaws provide for the voluntary participation of members of the Class of 1996, United States Naval Academy (“USNA”), as an entity, to support the USNA, the USNA Alumni Association (“USNAAA”), and individual members of the Class. 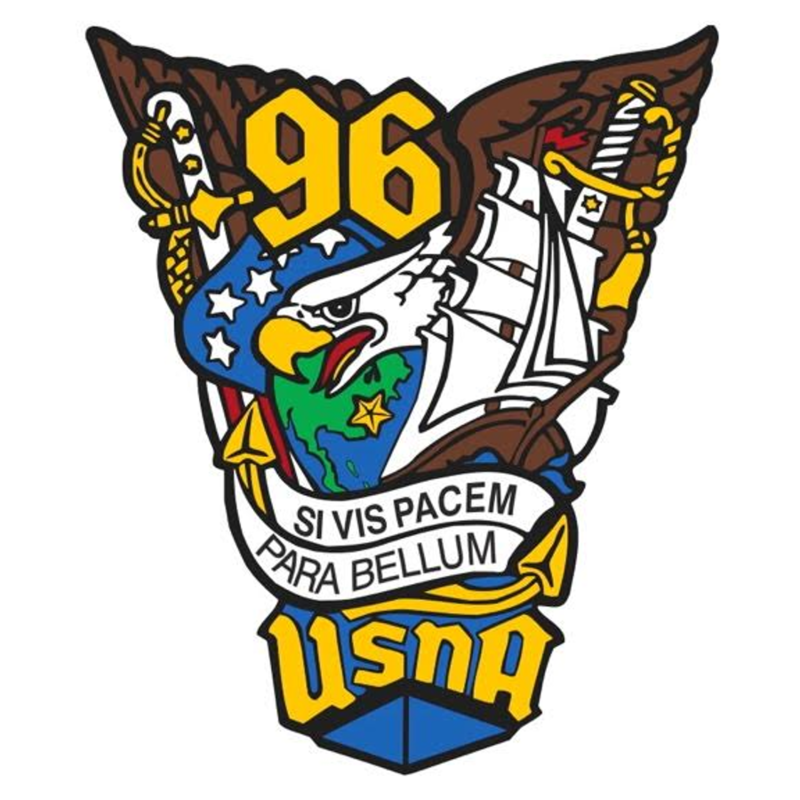 Perpetuate the positive image of the Class of 1996, USNA. The Class is a non-profit organization; one that can exist only through volunteer service. Volunteer service to the Class entails a personal commitment of time, effort, and availability. Another component of volunteer service is financial support of the Class. The Class shall manage its business in accordance with the bylaws through a strong, active Executive Committee. Class members may participate in Regional Chapters which are open to members of any graduating class. The implementation of the mission of the Class of 1996 as delineated in these bylaws, shall be led and managed by an Executive Committee. Include all past Presidents as non-voting members. elected for terms as described in Article VII. appoint and empower, with the approval of the Executive Committee, other volunteer classmates for specific duties, as non-voting members of the Executive Committee. Appoint a successor to any Executive Committee member that must vacate their duties prior to the terms in Article VII. be responsible for the class registry. One At-Large Member shall be designated by the President, with the approval of the Executive Committee, as the Philanthropic Support Chairman and shall be responsible for the “Development/Projects” section of the Class Plan. One At-Large Member shall be designated by the President, with the approval of the Executive Committee, as the Regional Vice Presidents and Company Representatives Liaison. We currently do not have official Regional representatives. If a member of the Class wants to run Regional activities, they do so in an unofficial capacity. Company Representatives: There shall be a Company Representative to represent each of the thirty-six companies. assist in activities regarding a member of that company (e.g., memorials, awards, etc…). Other Class Volunteers. In accordance with Article V, the President can, with the approval of the Executive Committee, appoint and empower other volunteer members for specific duties on behalf of the Class. Fund Raising Chairman, who shall solicit funds for major Class projects, on behalf of the USNAAA. Major Reunion Chairman, who shall lead preparations, and execute plans, for each five-year major reunion. Webmaster charged with the maintenance and operation of the USNA Class of 1996 site on the World Wide Web. Others, as deemed necessary by the Executive Committee. required to devote a personal commitment of time, effort, and availability to carry out all assigned duties. be responsible for the execution of the election process. Selection by the nominating committee as provided above. not be eligible to succeed themselves. The ballot for President shall contain the names of all nominees in alphabetical order, without distinction as to the method of nomination. If the Executive Committee decides not to conduct the election via electronic mail or the Internet, a ballot shall be mailed to each member of the Class at least thirty (30) days prior to the Annual Meeting in the election year. The ballot shall also contain space for write-in candidates. Ballots shall be returned to the Secretary not later than designated date prior to the Annual Meeting in the election year. The Class member’s signature must appear on the ballot. The Secretary shall, on the day preceding the Annual Meeting, deliver the results, ballots, and a current membership list, to the Executive Committee. In case of a tie vote, the election shall be decided by a vote of the members of the Executive Committee. The Executive Committee will announce the results at the annual meeting. Custody of the ballots shall be retained for five days following the Annual Meeting and then, unless otherwise directed by the President or Vice President, shall dispose of them. elected by a plurality vote of the membership via electronic mail or the Internet as decided by the Executive Committee. Terms of office are five (5) years in length. Any officer or volunteer may resign when he feels that he cannot commit the necessary time, thought, effort, or financial assistance to the Class to fulfill the duties of his office. Any officer or volunteer may be removed from his position, for cause, by a majority vote of the members of the Executive Committee. The position of an officer may be declared vacant in the event such member shall be absent from two (2) consecutive regular meetings of the Executive Committee. In the event of death, resignation, or removal of an officer, succession shall be in accordance with Article V. The President, with the approval of the Executive Committee, shall fill any vacancies created by the succession. The replacement officer shall serve for the unexpired term of their predecessor. The Annual Meeting of the Class shall normally be held on Homecoming Football Game weekend. However, the Executive Committee may alter this date when such date is not deemed appropriate, provided that there shall be an Annual Meeting in each calendar year. Notice of the Annual Meeting shall be published not less than two months preceding the date set for such meeting. Special Meetings of the members of the Class may be held at such time and place as the Executive Committee shall determine, or upon approval of a petition submitted to the Executive Committee and signed by not less than fifteen (15) members of the Class. The Secretary shall give notice of Special Meetings by the most expeditious means. A quorum for the purposes of conducting an Annual or Special Meeting shall consist of no less than fifteen (15) members of the Class, excluding officers of the Class. The Executive Committee may alter this requirement in the event of unusual circumstances. The order of business at any meeting of the Executive Committee shall be determined by the Class officer presiding at such meeting, but shall, insofar as practicable, conform to standard parliamentary procedure. Each member present shall be entitled to one (1) vote at any meeting of the Class except as provided in section 6 of this Article. Each member of the Class is entitled to one (1) vote for all purposes herein provided. The presiding officer shall not be entitled to vote except in the case of a tie vote. Meetings of the Executive Committee shall be held at such times and places as may be necessary to carry out the duties of that committee, but at least semi-annually. Meetings may be called by the President, the Vice President, or any two (2) or more members of the Executive Committee. The Secretary shall notify members by the most expeditious means. Any action required or permitted to be taken at any meeting of the Executive Committee may be taken without a meeting if consent to such action is signed by a majority of members of the Executive Committee and such written notice is filed with the minutes of the proceedings of the Executive Committee. A majority of the members of the Executive Committee constitute a quorum. The Class Plan will provide the long-range vision and intermediate objectives of the Class, and constitutes the operating policies and procedures to be followed by the Executive Committee in discharging its duties and responsibilities by clarifying and expanding upon these Bylaws. The Class Plan is a working document for conducting the day-to-day business of the Class. It shall be updated as objectives are met or change, and when the environment in which the Class operates so dictates. Annual revisions shall be presented to the Class at the Annual Meetings. The Executive Committee may submit to a vote of the members of the Class such propositions as it desires. The Executive Committee must submit to a vote of the members of the Class any proposition signed by at least fifteen (15) members of the Class. These propositions will normally be presented at the Annual Meeting. Any proposition which may require sooner action, as decided by the Executive Committee, will be submitted to the members by e-mail. Except as provided otherwise in the Bylaws, a plurality vote of those responding within thirty (30) days shall determine any proposition. No class dues will be collected. The Funds are maintained, controlled, and accounted for by the Treasurer ((2) USNA and (1) Navy Federal Credit Union account (NFCU)). The Executive Committee will establish an upper limit for the Operating Funds. If Funds exceed that limit, the excess would be moved to the Philanthropic Funds. Normal operating expenditures, other than investments, shall be authorized by a majority vote of the Executive Committee. Any proposition or motion which may require the raising, outside of the membership, of additional Class Funds must be submitted to, and approved by, the Executive Committee. The NFCU checking account is maintained to solely support the football tailgate events. Proceeds/donations from the events shall be deposited into that account. Conversely, only funds from the NFCU account will be used to support the tailgate events. With approval of Executive Committee, funds from the USNA Operating Fund may be used for the tailgate events. The income and property of the Class shall be applied solely toward the promotion of the mission of the Class. Expenditures on behalf of the Class, and authorized by the Executive Committee, shall be reimbursed by the Treasurer from the Operating Funds. In order to preserve, protect and enhance the net worth of the Class’s financial assets, the Executive Committee will require the Treasurer, on a periodic basis, to review the investments of the Class and make recommended changes. The Executive Committee may set aside a portion of the Operating Funds for the purpose of investment. Decisions on the investment portion of the operating funds shall be made by a three-fourths concurring vote of the Executive Committee. Philanthropic Funds are those funds provided by and/or derived from classmates’ donations to support the Naval Academy through active involvement with the Naval Academy Foundation or its successor entity. The President shall designate, with the approval of the Executive Committee, one At-Large Member as the Philanthropic Support Chairman. The President shall designate, with the approval of the Executive Committee, a Fund Raising Chairman who will coordinate all donation efforts including establishing and expanding a donor base for the class. The Philanthropic Support Chairman, through the President, shall cause agreements to be negotiated between the Class and the USNAAA for the collection, safekeeping, accounting, investing, and expenditure of all Class Funds. All Class Funds to be used for philanthropic purposes shall have the end use approved by the Executive Committee prior to being expended. Bylaws will be updated, at a minimum, every five (5) years upon the arrival of the new Executive Committee. Bylaws must be agreed to by all members of the Executive Committee. Bylaws – The Bylaws provide for the voluntary participation of members of the Class of 1996, as an entity, to support the USNA, USNAAA, and individual members of the Class. They more broadly define the powers of the Class, the Executive Committee, and the objectives of the Class. Where other documents (e.g. Charter and Mission of the USNA Alumni Association) provide the legal basis of the Class, the Bylaws provide for the operation of the Class. Class Plan – The plan, which supplements Bylaws, provides the long-range vision and intermediate objectives of the Class, and constitutes the operating policies and procedures to be followed by the Executive Committee in discharging its duties and responsibilities by clarifying and expanding upon the above documents. Its purpose is to be used as both a background and working document to conduct the day-to-day business of the Class. It should be updated frequently as objectives are met or change, and when the environment in which the Class operates so dictates. Members: -Membership in the Class shall be voluntary for those persons who graduated from the U.S. Naval Academy in the Class of 1990. Membership is also available to any person who was at any time a member of the Class of 1990 U.S. Naval Academy, though such person did not thereafter graduate with such class, upon application. There is also a procedure for nominating and accepting Honorary Members. There is a procedure for divesting the membership of any member on the basis of circumstances that would reflect discredit on the Class. Operating Funds – Those Funds, derived from both donations of members and from investments, that are maintained to be used for the periodic expenditures used to support the Class. Philanthropic Funds – Those funds provided by and/or derived from classmates’ donations to support the Naval Academy through the U.S. Naval Academy Foundation.